AdvisoryHQ News Corp is a global news media and publishing institution that provides worldwide news coverage, publishes and distributes content for major news media companies, and prints independent reviews of top firms across different industries and sectors. We are headquartered in California, and we operate across the U.S., Canada, U.K., Europe, and Australia. Since being launched, AdvisoryHQ News has experienced a tremendous growth in viewership with a 6,490% cumulative growth rate. 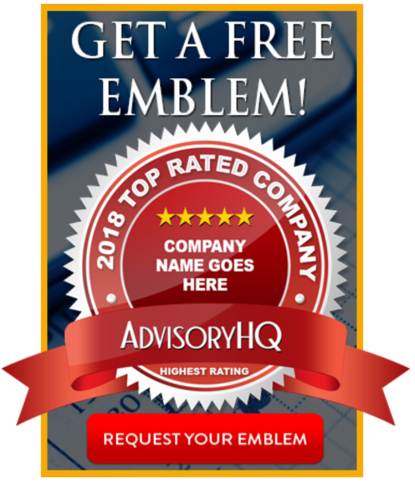 If your firm has been ranked by AdvisoryHQ News Corp, click below to request your FREE award emblem. Unlike other ranking companies, AdvisoryHQ News does not charge for the use of its award emblems, ever. There are many ways to promote your AdvisoryHQ award and recognition. Click here to find out more: Promoting Your Award and Recognition. AdvisoryHQ's top ranking articles and publications are becoming industry standards. Each year, AdvisoryHQ's editorial, research, and ranking teams conduct extensive due diligence to identify, select, and rank the top companies in various industries, including financial services, wealth management, banking, investment management, accounting, consultancies, retail, financial advisory, and education, amongst others. Our focus is on the everyday consumer. All of our research and top ranking publications are conducted from the end user and consumer's perspective. And, best of all, we publish our top ranking reviews for anyone to view for free. When reviewing companies, the decades-old processes and methodologies used by firms like Dun & Bradstreet, The Wall Street Journal, Barron’s, U.S. News, Bankrate, Vault, Forbes, and NerdWallet have mostly been based on three key pillars: data, analytics, and public record filings. To generate a more reflective ranking, AdvisoryHQ went beyond fees, ratios, data, and metrics. We developed ground-breaking and multi-prong "Top-Down Review & Ranking Methodologies" that are carried out by actual people (our research and editorial teams) versus by online systems or machines. Our top ranking methodologies are based on a wide range of filters including: quality of services provided, overall value provided, transparency, customized services, history of innovation, customer experience (positive and negative), level of independence, team excellence, and many more. Searching for top rated financial advisors, banks, accounting firms, consultanties, retailers, and other services can be a daunting undertaking for a consumer, especially if you are unfamiliar with the landscape of that particular sector. Consumers shopping for products, services, and information typically conduct extensive research before making a decision. Individuals will visit many websites multiple times; research firms & providers; and compare accounts, services, and plans across multiple companies. AdvisoryHQ is committed to simplifying the research that consumers conduct before choosing a top provider, firm, service, or product. ​Firms do not pay for their ranking. Our ranking articles are always 100% independently researched and written. In fact, most firms do not even realize that they are being considered by AdvisoryHQ until after our ranking publication has been completed and published to the public. However, firms can request that we review their company and services. This is separate from our ranking program. Firms do pay to have AdvisoryHQ conduct an objective review of their companies. Click here to read more about our "Request a Review" service. Note that a review does not warrant that a firm will be included in any of our ranking publications. In order to be included in any AdvisoryHQ ranking list, firms have to pass our rigorous selection methodologies. Also, after we’ve published our top ranking publications to the general public, firms can request to have a separate personalized profile, which incurs a charge. They can also request an E-Print copy of their review, which also incurs a charge. The content provided on AdvisoryHQ.com is provided for news/informational purposes only and is not to be regarded as financial or investment advice. 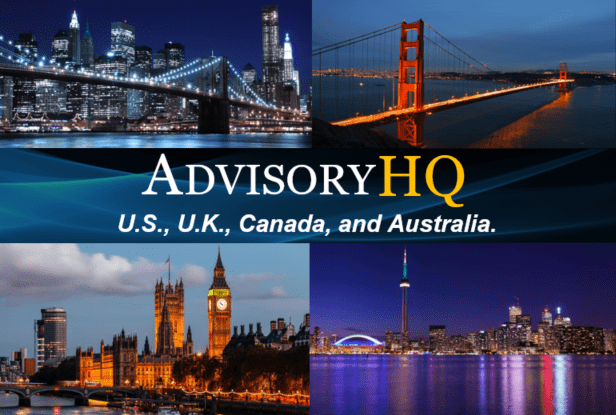 AdvisoryHQ is not a financial advisor, Registered Investment Advisor, broker/dealer, wealth manager, financial consultant/analyst, securities broker or any type of financial advisory firm. AdvisoryHQ is not responsible for any investments or financial decisions made by you. Please review our Terms carefully, as by accessing or otherwise using this site you are agreeing to be bound contractually by the Terms stipulated here.